The name of the tour says it all. This is the real deal. 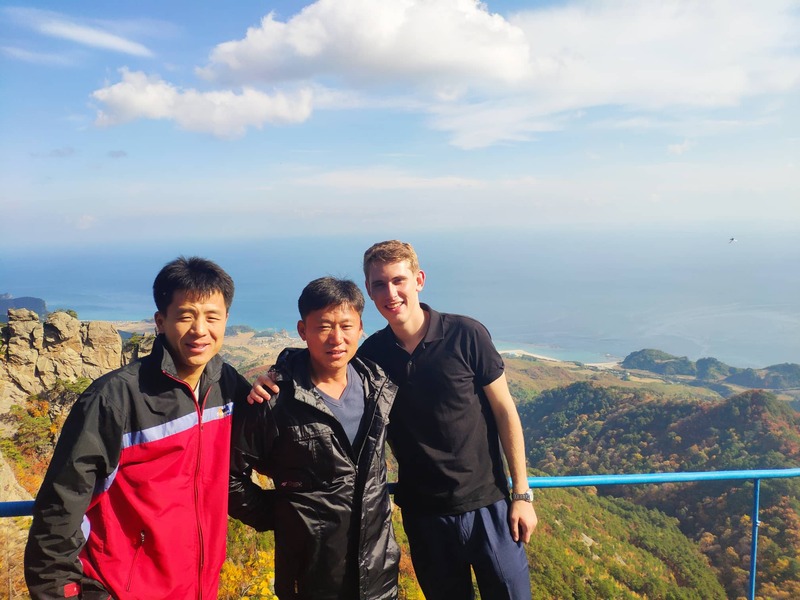 This entire tour includes the rural northeast of the DPRK which is way off the usual tourist trail, and combining the must-see sights of Pyongyang and the DMZ with a connecting domestic flight, something that is certainly unique for an experience in North Korea. 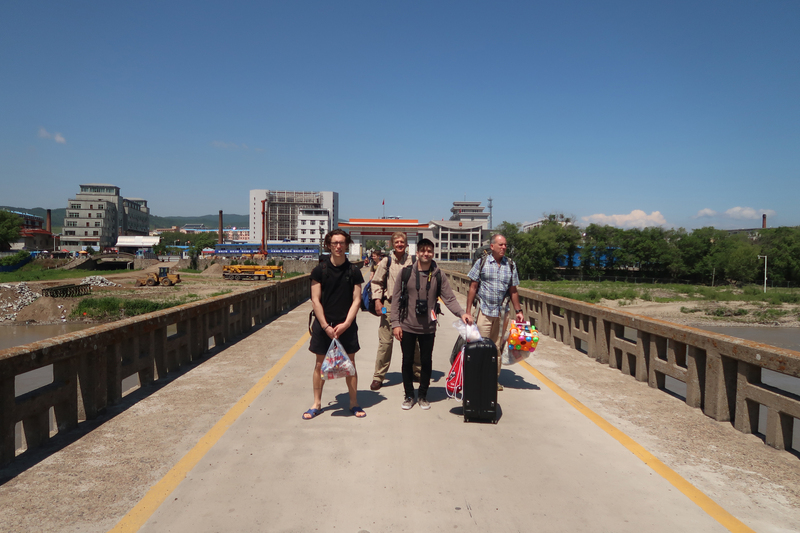 Our journey first starts in Beijing where we’ll board our overnight sleeper train to Tumen, a border town of China that lays directly across the Tumen River from the DPRK, only a stone’s throw away. Once arriving, we’ll have time to explore this strange town and spend the evening at a local hotel. 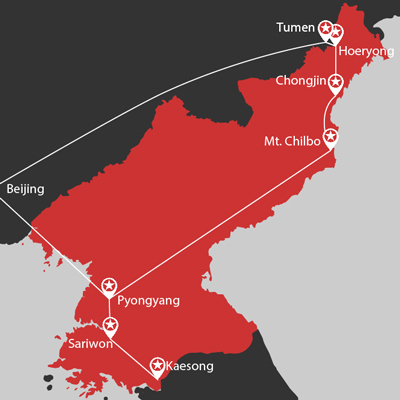 We’ll then make our way to Hoeryong city, a beautiful town famous for pretty girls, apricots and the hometown of Kim Jong Suk (Kim Jong Il’s Mother). 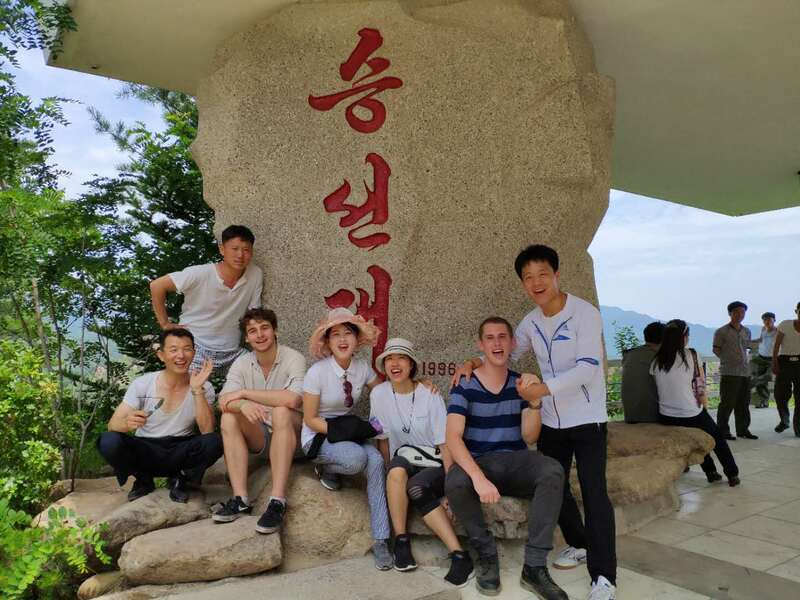 Other highlights include Kim Ki Song middle school where we’ll involve ourselves in an English class; most of these students have most likely never seen a Westerner before. Our next destination is Mt Chilbo, famous for its incredible nature of both land and sea. Here we’ll indulge in the only homestay available in the country for two nights. 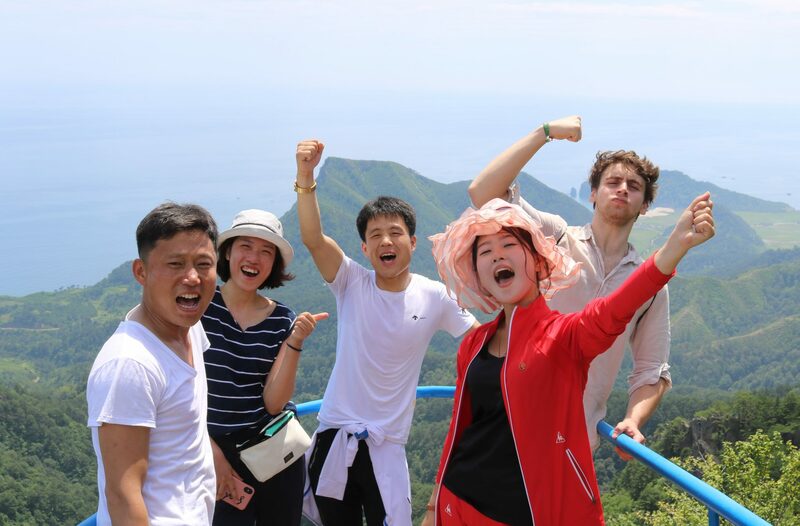 This is a one of a kind experience will lead us to spend our time eating, drinking, playing sports and exchanging photos with our Korean homestay family. 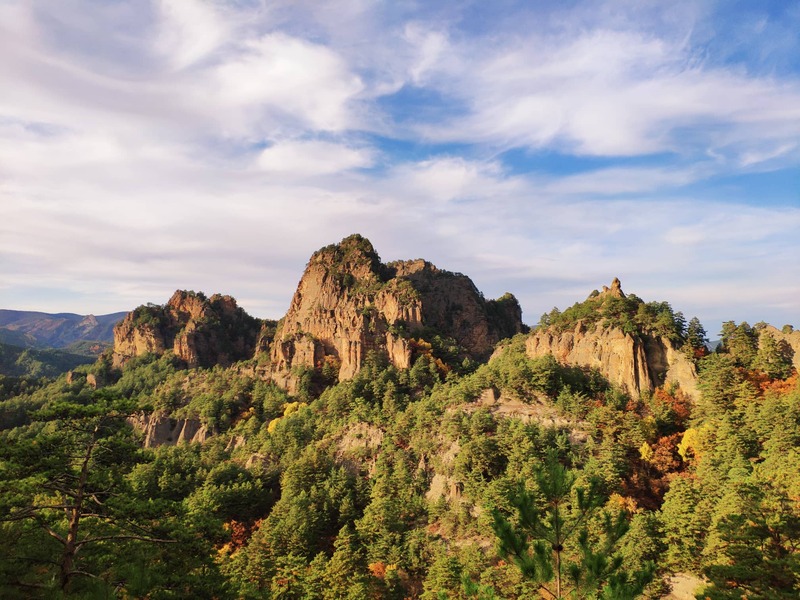 We’ll also take advantage of the mountains here and go for gentle hikes along the peaks for spectacular views. After saying goodbye to our Korean families, we’ll make our way to Orang Airport to board one of the very few domestic flights to Pyongyang city! This concludes our adventure of the rural northeast of Korea. 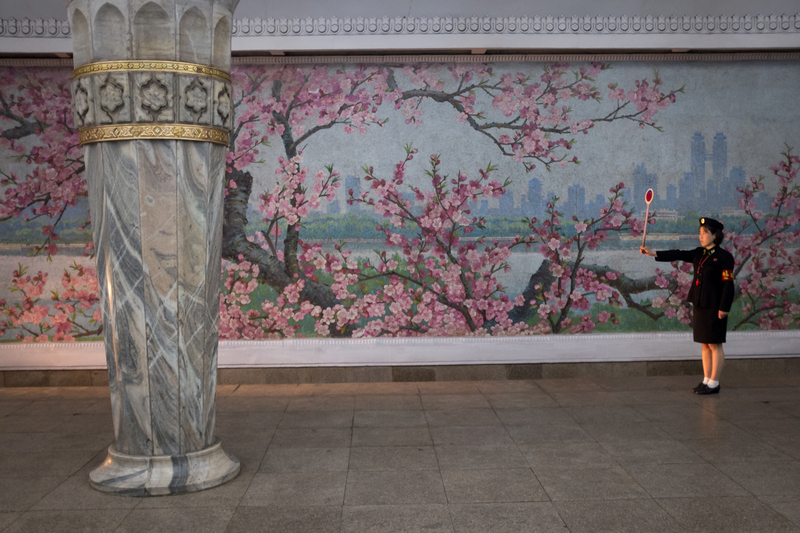 Once arriving in Pyongyang, we’ll dig deep into the must-see sights of the capital. 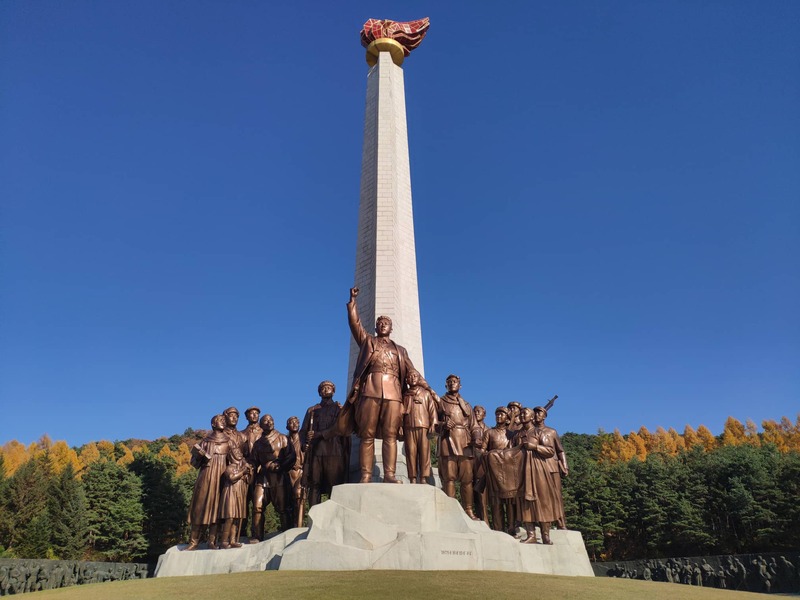 We’ll be visiting the Mausoleum of Kim Il Sung and Kim Jong Il, the Korean War Museum, riding the deep and mystifying Pyongyang Metro, drinking at the local microbreweries, Kim Il Sung Square and much much more. And of course, no trip to North Korea is ever complete without a day visit to the DMZ to see where both North and South Korea separate their land. Get your first taste of North Korean Cuisine with Lunch at a local restaurant in Namyang city square complete with a performance! Visit the statue of Mother Kim Jong Suk (Mother of General Kim Jong Il) and her revolutionary Museum. Dinner and drinks at Namgang Restaurant – during dinner we’ll have the option to dance and sing with the Korean waitresses. 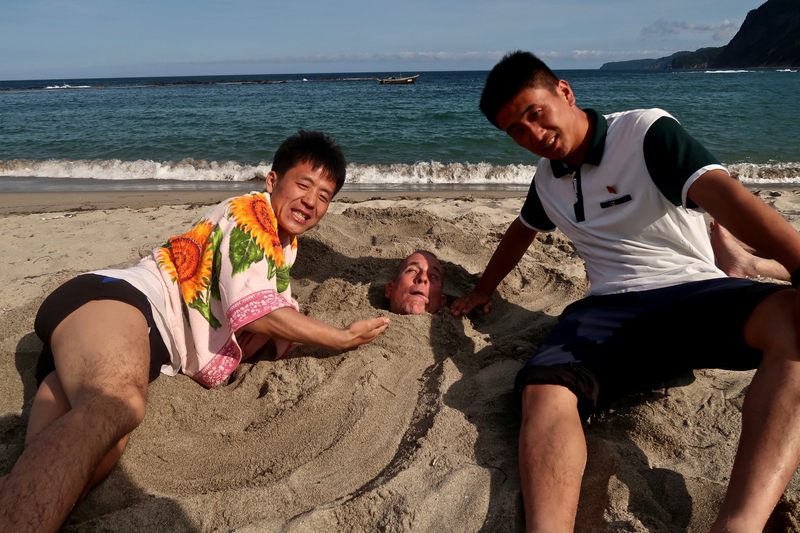 Sunday 20th October – Home Stay! 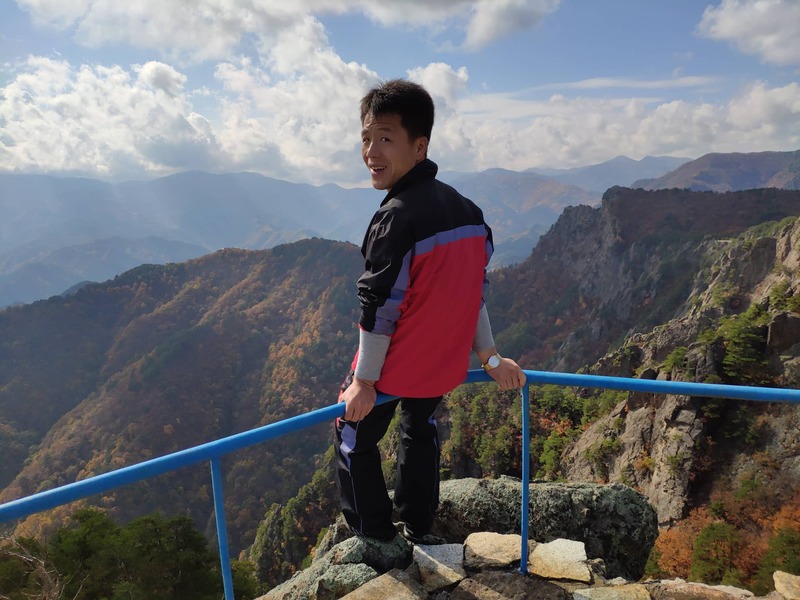 We’ll begin our easy hike through the mountains of Chilbo – this region is the most famous part of North Hamgyong province and has lots of colourful stories to explain the various rock structures. Monday 21st October – Home Stay! 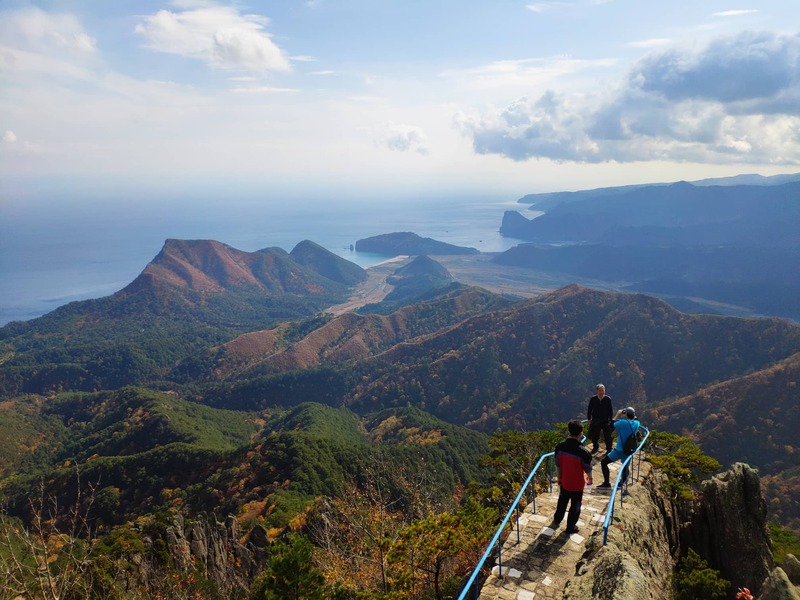 We’ll begin another hike, this time up to Tokgol and Gangsonmun areas – these are the highest peaks of the Mt. Chilbo area and we’ll have stunning views of both the land and the sea. 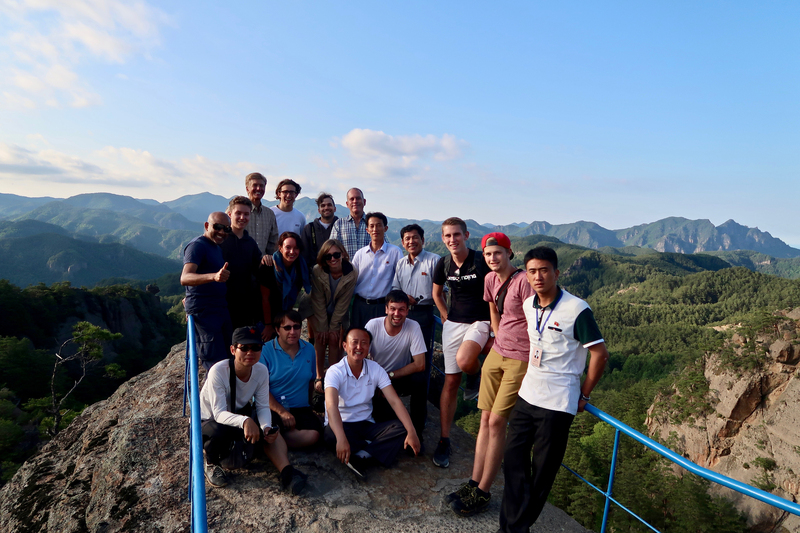 Drive to Orang Airport and board a local domestic Air Koryo flight at 3:00pm flying to Pyongyang city – here we’ll say goodbye to our local North Hamgyong Korean guides! Visit Mansudae Grand Monument to show our respects to the President Kim Il Sung and the Leader Kim Jong Il (optional extra – you can present flowers if you wish: small bunches are 2 euro, larger ones 4 euro). 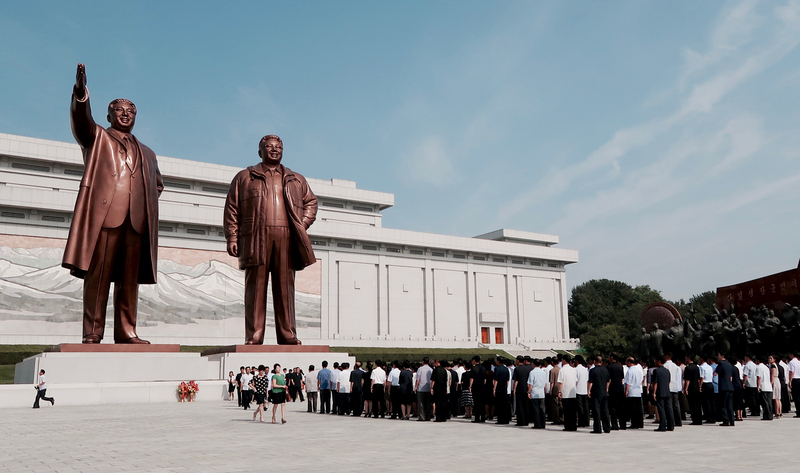 One of the most comprehensive tours of the DPRK available! 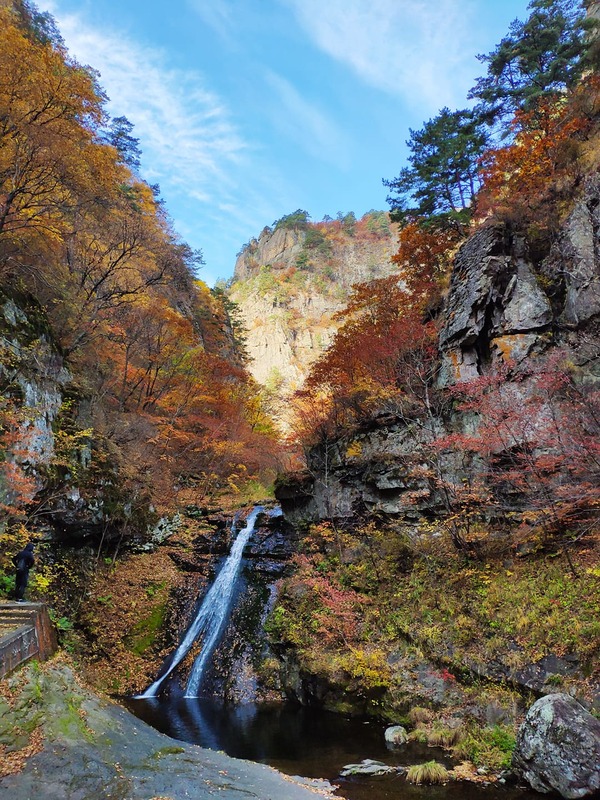 Stay in the country’s only Homestay village in the beautiful Chilbo Region and dine at Chongjin's famous Namgang Restaurant. 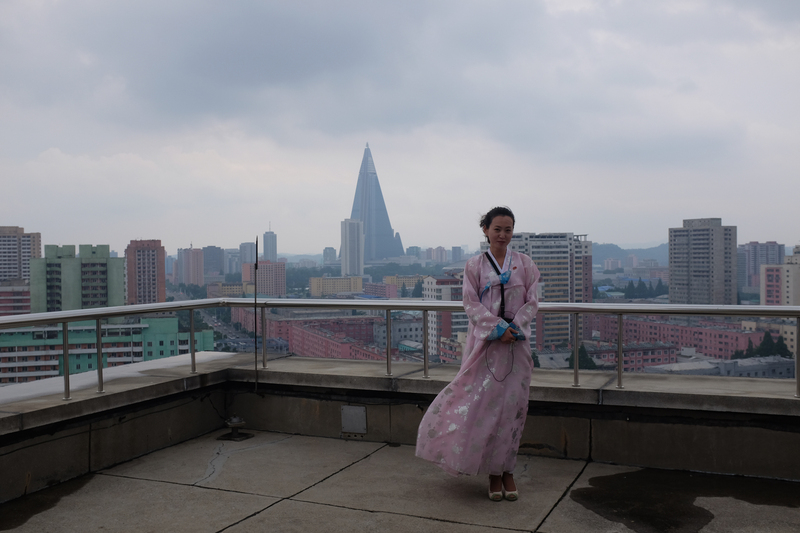 Take in all the major sites in Pyongyang as well as taking a trip to the DMZ. Cross the border on foot over a bridge, an experience few Westerners ever have. • Train in and out Beijing-Tumen and then Pyongyang-Beijing. Flights are extra.